Odyssey Productions Pty Ltd trading as Craig Parry Photography (ABN 15 615 880 941) has taken all reasonable care to ensure that the information contained in this website is accurate on the stated date of publication or last modification. Despite our best efforts and proof reading, a tiny number of items may contain pricing or typography errors. Correct pricing is validated and confirmed at the time your order is placed and processed. 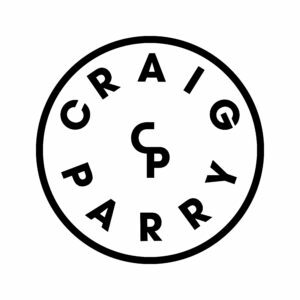 All prices on the Craig Parry Photography website are displayed in Australian dollars ($AUD). Once your order has been placed we will process your details and place an order with our printing and framing labs. As all orders are produced upon request the typical wait time for an unframed print is five (5) working days plus delivery, and fifteen (15) working days plus delivery for a framed print, acrylic wall mount or acrylic block. If there are any unexpected delays we will try to send you an e-mail message to notify you. We strive to ensure that the shipping charges calculated at the time of payment are accurate, however there may be situations where the calculation is incorrect and subject to slight variances. In the unlikely situation that shipping costs are higher than paid we will try our best to cover the difference, however in cases where there is a significant difference we reserve the right to contact you and invoice the difference. Finished prints are sent via Australia Post, TNT (or similar) and we personally handle your work to the collection point. Your print can also be tracked – we will send you the details once dispatched. Please ensure you enter the correct delivery address as goods which are returned to us as undeliverable will incur a re-dispatch fee. Freight charges paid for the original dispatch are not refundable. You acknowledge and agree that we are not liable for any loss, damage, cost or expense that you incur as a result of postage or import taxes into the country in which the product will be sent to. The utmost care is taken with all of orders and each is dealt with on a case by case basis. Sometimes however, accidents or errors may occur. Craig Parry Photography must be notified of faulty, damaged, incorrect or missing products as soon as possible following your order being delivered. If you are in any way unsatisfied with your purchase from Craig Parry Photography, please contact us. Unless there are prevailing exceptional circumstances, once an order has been placed and lodged with our printing lab, cancellations will incur a fee of up to 100% of payments made. All images displayed are subject to copyright as owned by the photographer. Use of these images for any purpose, without the prior permission of the photographer is a breach of law and may result in legal action. Images may not be downloaded, reproduced, copied, projected, or used in any way without express written permission from the photographer.